Caryl Fuller | Mikels & Jones Properties, Inc.
As Vice President/Property Manager, Caryl Fuller is responsible for over a half-million square feet of office, industrial, retail and residential space; including historic properties such as The Briggs Hardware Building, in the heart of Downtown Raleigh, and The Creamery, located in the dynamic Glenwood South district. Caryl is a native of Springfield, Virginia; beginning her property management career in 1989 where she gained experience working with regional retail centers, office and industrial flex products in the fast paced Washington, DC market. 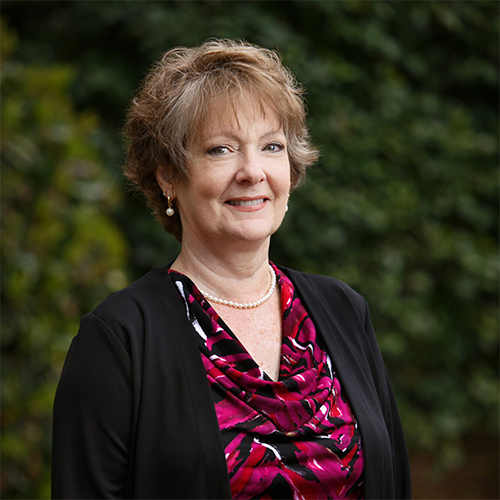 Caryl joined Mikels & Jones Properties in 2003, becoming part of a sales, leasing and management team with deep roots in the Raleigh community, where she works diligently to provide quality service within all aspects of the tenant/landlord relationship. Called by faith and strong belief in the importance of “giving back”, Caryl enjoys staying actively involved at many levels in the mission and ministries of The Church of the Good Shepherd Episcopal Church as well as volunteer service organizations including the DAR (Caswell-Nash Chapter) and Capital City Civitan.